Babies Around the World Fact: According to a Chinese tradition, a baby's skin tone is influenced by more than genetics. It is believed that fair skinned babies have light pigmentation because their mothers ate light-colored foods during pregnancy. There's a widespread belief that exposure to computers, microwaves, and cell phones can lead to miscarriage or birth defects, according to BabyCenter editor Joy Jia. As a result, many pregnant women buy "antiradiation vests" to protect their developing babies. In fact, the vests are recommended by some Chinese doctors and pregnancy books, Jia says. Once they learn they're pregnant, many women also turn off their cell phones and don't use them until they give birth. There are many widely held food taboos, says Joy Jia. For instance, people believe a pregnant woman should never eat crab, because, according to traditional Chinese medicine, crab is a "cold-natured" food that will cause miscarriage in early pregnancy. Chinese women used to be encouraged to eat a lot during pregnancy, especially protein. They also gained a good deal of weight. This is beginning to change, particularly in urban areas, because China has seen a rise in pregnancy-related diabetes. Jia says doctors now caution moms-to-be to follow a moderate diet during pregnancy. In China, once a woman becomes pregnant, the focus of the entire family is on her and her baby. According to Vidya Sen, the same holds true in India. Everyone in the family makes sure the mom-to-be is eating well and is protected from any hazards. People in India also believe in the evil eye and they ward it off by burning red chilies and camphor. They also believe that during an eclipse, pregnant women should remain inside the house or their babies will be born with a cleft lip or other deformity. "Even educated people hold this superstition," according to BabyCenter editor Vidya Sen. "The attitude is, 'It may not be true, but why test nature's fury?'" Vidya Sen says that in southern India, a woman lets her family know she's pregnant by asking for sour and tangy foods, like raw mangoes or tamarind (a sweet and sour fruit). "This is how the elders of the household (especially in rural areas) learn that she's pregnant," says Sen. In Mexico and other Latin American countries, many believe that if you don't eat the food you crave during pregnancy, your baby will have a birthmark shaped like that food. In Mexico, If you experience a lot of nausea during pregnancy, your newborn will have a full head of hair. People in many Latin American countries share a belief in the "evil eye" — that is, the power of an evil or envious person to cause harm to a pregnant woman or her baby. In Cuba, pregnant women won't let anyone they don't know or trust touch their pregnant belly. In Panama, moms-to-be won't reveal how far along they are in their pregnancy, and they're especially cautious around anyone who may be holding a grudge. Women believe that sharing this information puts them at risk for birth complications or an ugly child. New babies are dressed in red from head to toe, because red is thought to ward off the evil eye. Stylish and sassy maternity clothes are coveted by pregnant women, because, says BabyCenter editor Isidra Mencos, "We Latin women like to dress up!" In both these countries, people say you can tell whether you're having a girl or boy by looking in the mirror. "A boy is said to enhance his mother's beauty, while a girl weakens it," according to BabyCenter editor Claudia Starck. A new bra — either a larger one or special maternity one — is a pregnancy gotta-have, according to BabyCenter editor Cordula Zastera. Maternity jeans are at the top of the list for most newly pregnant women, according to BabyCenter editor Danielle Townsend. "Australians are obsessed with denim," she says. "You can certainly expect to be given a seat on public transportation," says Carina Westling. "At the same time, it's not polite to assume that a pregnant woman needs lots of attention. In Sweden today, people are accommodating but don't see pregnancy or motherhood as defining you. That would be considered rude." Pregnant women don't receive much special treatment, according to Sasha Miller. "There's little respect or reverence," she says. "You can be standing on the bus, and people will stare at their newspaper and pretend they don't see you." 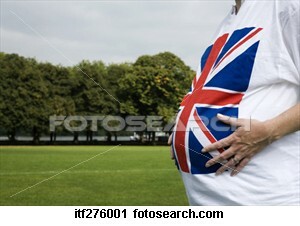 According to British folklore, pregnant women often crave coal. But Sasha Miller says that in general, the idea of cravings during pregnancy "has pretty much gone out the window. Now people just see pregnancy as a good excuse to eat ice cream at midnight." Sometimes women or older men will give you their seat on the streetcar, says BabyCenter editor Ann Elisabeth Samson. "One challenge is making sure that they know you're pregnant, particularly in winter when you're wearing a bulky coat," she says. "I've been known to unbutton my coat and show my belly in order to get a seat." Stopping by from Completely Eclipsed...congrats on being featured blogger! I love the chinese tradition about skin tone because I have twin girls and one is fair skinned while the other a more tan skin tone...so obviously that shows I ate a little of all colored foods! Ha! The Chinese cultural beliefs of my parents and various other cultural beliefs of those around me caused me so so much stress throughout my pregnancy. Not only did I have to deal with morning sickness and a sensitivity to smells and food that I never had before I had to deal with people telling me what I could and could not eat. The research is not always there to confirm or discredit these beliefs and often I was made to feel guilty if I just didn't believe them e.g. a friend told me that paw paw causes miscarriages and my mother said I could not drink cold water or eat cold foods. My dad was also really upset when I wanted to install an air-conditioner. My bedroom got up to 35C during the summer. So I say poo-poo to these beliefs and I hope the next generation is better science educated. My friend and I have been talking about this particular subject, this is great site and nice text. I will add to my bookmarks, Thank you. I have been listening from the people that it is only Menstrual blood stem cells - from the womb lining shed during a woman's period and also in pregnancy but here is the valuable information i got really many thanks to the blogger. I love your blog. It seems that our interests overlap. I just came across this page while researching stuff for my own blog. I have recently started writing one about pregnancy and childbirth around the world. I studed Anthropology at University (a little while ago!) but since having children my interest has been revived. I find it fascinating that all of us women go through exactly the same biological events in having children, yet the way we experience them depends on the culture that we live in. Now I'm going to go and read some more of your posts.